Florida Cracker Barrel site of accidental gun discharge. 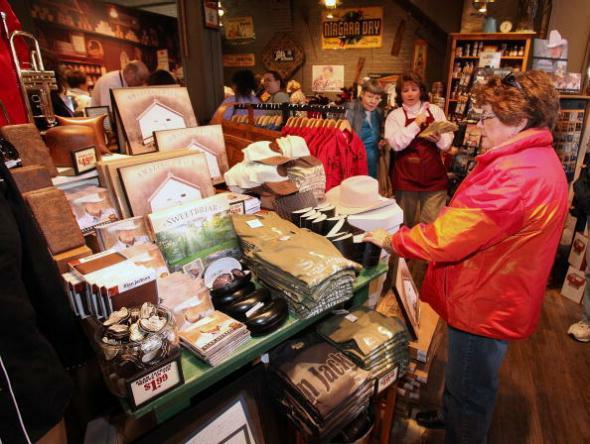 This is actually a photo of a Cracker Barrel pop-up store in Nashville, not a restaurant in Florida, but the site pictured was most likely also the site of at least one and possibly as many as 100 accidental shootings. You all know how it is. You’re in a Sanford, Florida, Cracker Barrel on Sunday morning with the after-church crowd. A patron carrying a legally registered firearm is getting up to pay when his gun slips out of its holster, hits the floor, and “discharges” one round into your lower leg, requiring you to seek medical care for “non-life threatening injuries” before you can so much as finish your gravy-covered meal of gravy-fried gravy. The shooting was determined to be accidental and no charges are expected to be filed. As it should be. As it should be.